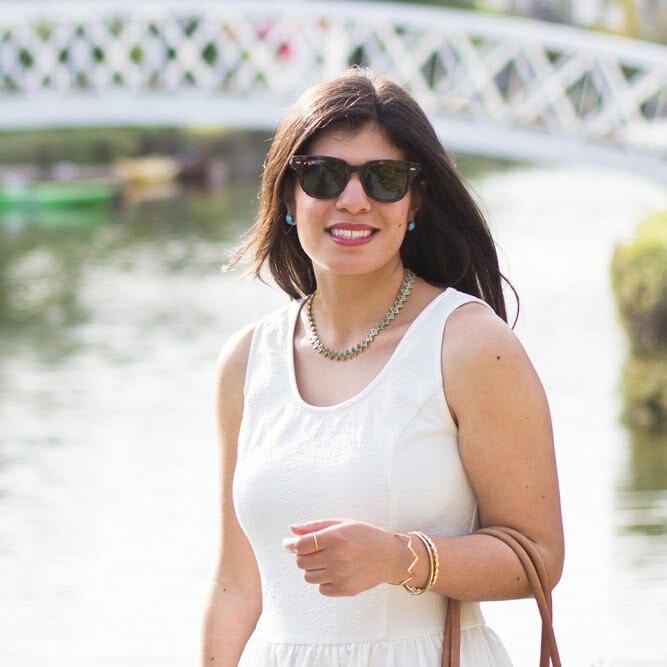 While summer often acts as a catalyst for me to break out of my winter-neutral-rut, there is nothing I love more than a little white dress, or in this case, a pair of separates posing as one. Oddly enough, I did not buy these pieces together, but rather found the blouse one summer at a consignment shop, and then the skirt the following year at TJMaxx. And they have sat, just waiting to be worn together at last. What pretty eyelet! And I love the detail on that straw bag! I can't believe you found those pieces separately, Lydia!! Did you realize when you bought the second item, that it was the same as the first??? What a fabulous look---I love my white for summer!! I am in love with this cute set, so pretty and summery. Such a perfect match! Love this look! I would never have guessed that these two pieces weren't a dress, never mind that you didn't even buy them together! Of course they are both Ella Moss so it makes sense that they looks so meant to be, but even so, I can't help admiring how well this look came together. And I do think the espadrilles add a beautiful pop of colour! Wow. What luck that you were able to find those separates at different times! I love this look. For me white is always a hit in summertime! How awesome that you were able to find these separates! It goes perfectly with the shoes too! Wow! That's so funny!! It's like when I found the matching blazer for my burgundy velvet pants at Coco's, haha. Eyelet is everything right now!! Love this dress and you bag s super cute too! Oh wow, a year later ?! what a superb find - it actually looks like a dress. Love it. Those two pieces were clearly made for each other - I can't believe you found them separately. I totally thought this was one piece! How cool that you were able to wear them both together! Love the all white look with the espadrilles! Two great pieces! Separates like this are so versatile because they can be worn together or apart. I love how nicely they go together. I'd never even know they were separates! 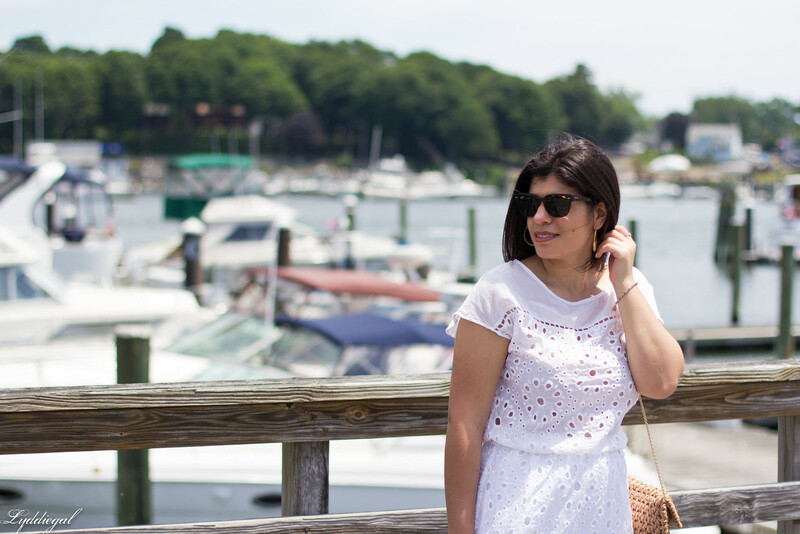 This is the prettiest white eyelet dress for summer. I love how comfortable this whole ensemble is with the espadrille sandals!